Megan Shannon is an attorney in the firm’s insurance recovery group. She represents policyholders in disputes with insurance companies involving a wide range of insurance policies. She advises clients on the insurance coverage available to them when they suffer a loss or are named as a defendant in litigation. Ms. Shannon helps clients present claims to their insurance company to efficiently claim all benefits. Ms. Shannon also provides defense representation to self-insured entities including a regional public transportation agency and large satellite television company. Ms. Shannon represents both agencies and records requesters in public records disputes. 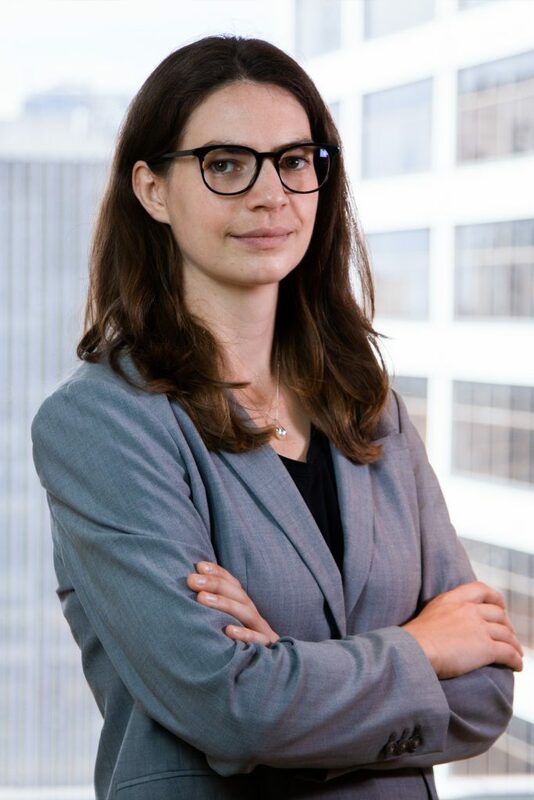 She counsels a local agency subject to public records requests under Pennsylvania’s Right to Know Law on its right to withhold non-public records and helps agencies efficiently respond to complex records requests. Ms. Shannon also represents clients seeking records from government agencies for journalistic and commercial use. She helps clients draft public records requests, advocates for clients in administrative agency appeals and mediations, and litigates records disputes beyond the administrative appeal stage. Ms. Shannon’s pro bono experience includes representing low-income families in name change matters and representing a community garden in a zoning dispute.